Dimensions: 5 x 7 in. 96 pages. Full-color photographs throughout, lenticular cover. Paperback. Every day, Jesus, Buddha, the Virgin Mary, and Mother Teresa appear to people in the most unlikely of places. From grilled cheese sandwiches to beehives to frying pans, these 100% authentic visions are enlightening and always amazing. Featuring an eye-catching lenticular cover as well as testimony from the real people who discovered these miraculous images, Look! 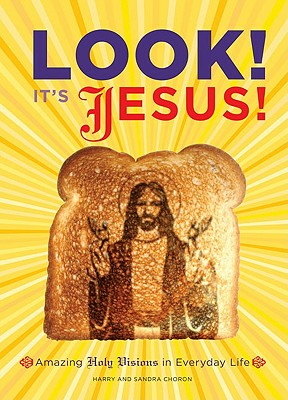 It's Jesus! reminds us that a miracle can happen at any moment.